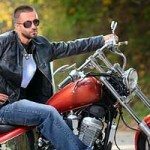 Motorcycle accident attorney Lee D. Gaber, Esq,, handles motorcycle accidents across the entire commonwealth of Pennsylvania. Motorcycle crash attorney consultations are always provided to Pennsylvania accident victims at no charge, so contact motorcycle accident attorney Lee D. Gaber, Esq at 888-292-5352 to discuss your options. My Pennsylvania motorcycle accident law firm only handles cycle accidents! I hope you find this guide to terminology helpful, but remember this is only a brief overview, we are available 365 days a year to explain everything about the legal process in motorcycle accident claims in Pennsylvania. A motorcycle accident claim, contrary to popular belief, is not suing for a motorcycle accident. It is the reporting of the accident to the proper entity to receive remuneration for the accident in a number of categories. This entity is almost always an insurance company in everyday practice. A motorcycle accident settlement is the concession of parties involved in the accident, typically the personally injured rider (and their motorcycle accident attorney), and the insurance company (and their attorneys) to pay for damages, both physical and otherwise. Motorcycle accident settlements are in lieu of litigating an accident in court, going to arbitration or mediation. A motorcycle accident lawsuit will become necessary if your motorcycle crash attorney is unable to convince the insurance company to settle your accident claim outside of litigation or mediation. A lawsuit is typically synonymous with “suing”. Pain and suffering is the legal term for the physical and emotional stress caused from a motorcycle accident injury. Your motorcycle crash attorney can help you to recover medical bills incurred as a result of a motorcycle accident in Pennsylvania. This is accomplished either by negotiating a settlement out of court, or by prevailing in a motorcycle accident lawsuit. Your Pennsylvania motorcycle crash attorney will include, in a motorcycle accident claim, any wages that you missed out on earning as a result of being unable to work after your motorcycle accident in Pennsylvania. Motorcycle accident insurance, unlike auto insurance, typically does not include any medical benefits. Therefore you need to specifically think about the insurance coverages you carry to allow enough reimbursement for possible injuries in addition to property damaged as a result of your accident. 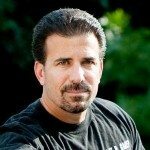 Consider checking out my Pennsylvania motorcycle lawyers frequently asked questions page. If you have been in an accident call me at 888-292-5352 for specific questions about your accident situation.